At Go and Flirt Spa we strive to provide the upmost professionalism and advanced service to all of our clients. 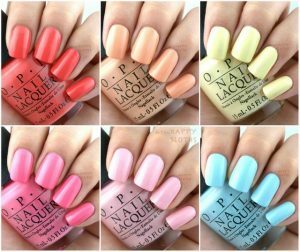 We use modern beauty technology and high-quality brands. We are offering great specials for the summer. Call us to schedule your appointment at (954) 955-0080.
http://goandflirt.com/wp-content/uploads/2019/04/GoAndFlirtLogo-smaller.png 0 0 Wendy http://goandflirt.com/wp-content/uploads/2019/04/GoAndFlirtLogo-smaller.png Wendy2018-06-27 12:52:262018-06-27 12:52:26At Go and Flirt Spa we strive to provide the upmost professionalism and advanced service to all of our clients. We use modern beauty technology and high-quality brands. We are offering great specials for the summer. Call us to schedule your appointment at (954) 955-0080. 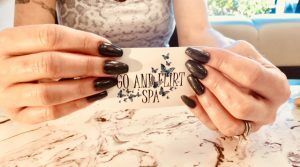 SUMMER SPECIALS AT GO & FLIRT SPA! http://goandflirt.com/wp-content/uploads/2019/04/GoAndFlirtLogo-smaller.png 0 0 Wendy http://goandflirt.com/wp-content/uploads/2019/04/GoAndFlirtLogo-smaller.png Wendy2018-06-14 14:28:022018-06-14 14:28:02SUMMER SPECIALS AT GO & FLIRT SPA! http://goandflirt.com/wp-content/uploads/2019/04/GoAndFlirtLogo-smaller.png 0 0 Wendy http://goandflirt.com/wp-content/uploads/2019/04/GoAndFlirtLogo-smaller.png Wendy2018-06-13 14:27:152018-06-13 14:27:15We offer Microneedling with the Dermapen! This treatment is comparable to laser treatments, microdermabrasion and chemical peels, but without the severe side effects or the long recovery time. Each treatment is adaptable to different skin types. We also use disposable needles to reduce the risk of cross-contamination. 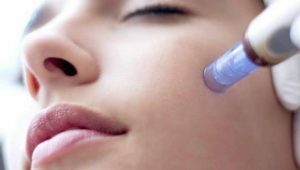 Also known as Collagen Induction Therapy (or CIT), Micro needling is an FDA-approved non surgical procedure that is used to rejuvenate the skin and improve the skin’s surface by reducing fine lines, expression lines, wrinkles, enlarged pores, and acne scars. Body contour treatment is a non-invasive treatment that is appropriate for excess fat removal and body contouring with proper patient expectations. The process has several key components including: Vacuum – Suction Treatment which is a mechanical lymphatic drainage treatment. Ultrasound: Uses high-intensity, focused sound waves to disrupt fat calls, causing them to dissolve gradually over time. Radiofrequency: Delivers controlled energy to excess fat areas, creating heat deep within fat cells and subsequently destroying them. Call us 954-955-0080.
http://goandflirt.com/wp-content/uploads/2019/04/GoAndFlirtLogo-smaller.png 0 0 Wendy http://goandflirt.com/wp-content/uploads/2019/04/GoAndFlirtLogo-smaller.png Wendy2018-05-29 13:42:492018-05-29 13:42:49Body contour treatment is a non-invasive treatment that is appropriate for excess fat removal and body contouring with proper patient expectations. The process has several key components including: Vacuum - Suction Treatment which is a mechanical lymphatic drainage treatment. Ultrasound: Uses high-intensity, focused sound waves to disrupt fat calls, causing them to dissolve gradually over time. Radiofrequency: Delivers controlled energy to excess fat areas, creating heat deep within fat cells and subsequently destroying them. Call us 954-955-0080. Waxing Specials at Go & Flirt Spa! Graduation Specials! Eyelash Extensions and Manicure and Pedicure for $105! http://goandflirt.com/wp-content/uploads/2019/04/GoAndFlirtLogo-smaller.png 0 0 Wendy http://goandflirt.com/wp-content/uploads/2019/04/GoAndFlirtLogo-smaller.png Wendy2018-05-08 18:55:412018-05-08 18:56:56Graduation Specials! Eyelash Extensions and Manicure and Pedicure for $105! WHAT DOES YOUR SKIN NEED ? Is your dehydrated or dry? Is it prone to breakouts or hyper-pigmentation? What type of facial treatments and products should you be using? Bring in your products and stop by for a complimentary skin evaluation call (954) 955-0080 today! http://goandflirt.com/wp-content/uploads/2019/04/GoAndFlirtLogo-smaller.png 0 0 Wendy http://goandflirt.com/wp-content/uploads/2019/04/GoAndFlirtLogo-smaller.png Wendy2018-05-08 18:19:462018-05-08 18:19:46WHAT DOES YOUR SKIN NEED ? Is your dehydrated or dry? Is it prone to breakouts or hyper-pigmentation? What type of facial treatments and products should you be using? 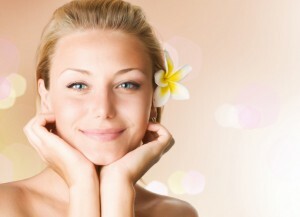 Bring in your products and stop by for a complimentary skin evaluation call (954) 955-0080 today!